Hi Jean, I must admit I make my lasagna a little differently to you. We had some lasagna made by an Italian person one day which wasn't entirely to my tastes, but my wife thought it was the best she'd ever had. 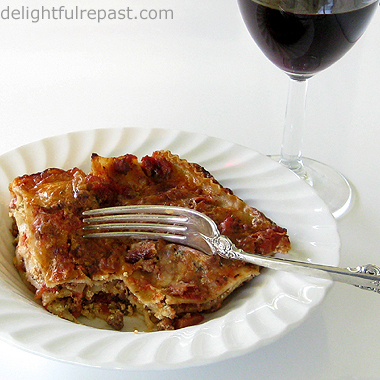 My tastes are bit "off", lasagne-wise apparently :D.
Love a good glass of red with pasta dishes though. It's the perfect pairing! No, your tastes aren't "off." There are all kinds of lasagna. Sometimes I like the kind with béchamel instead of ricotta filling, sometimes vegetables instead of meat. At an Italian restaurant in London I had a lasagne that was extremely wet - lots of tomato sauce. I prefer to make a thick sauce and have a fairly "dry" lasagna. Thanks, Judy, you're so funny! I used to think a pan of lasagne that size should serve 8, now I say 6! Ah, another siren call into the land of…? Can’t put my taste buds on what it is I’m missing, but I lack the ability to distinguish the essential difference between things like spaghetti, cannelloni, lasagna, et al. They are all essentially noodles of the macaroni variety whether Chinese or Italian or Kraft-istan. Funny thing is I almost always like everything that goes with/in the variously configured noodles. No matter how it’s packaged – tubes, packets, little stars in soup – it just gets radioed to my alleged brain as carbo/starch. When I’m done eating all the sideshows that come with it, my plate looks like a tannery of leftover skins. I shall take out a classified ad looking for someone of the opposite tastes, who eats only the rubbery stuff and leaves the sauces and fillings. Object: lunch. Well, again, I'm your dining ideal - I prefer the pasta and the cupcake; you can have the meat and the frosting! Lasagne, one of my most favorite comfort foods. 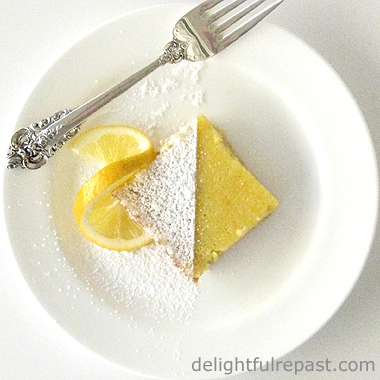 Relatively easy to make, it disappears very quickly from the table, as people tend to ask for seconds. I usually make mine with bechamel sauce and mozzarella. And always serve it with a glass of red wine - it's a must ! I make it with béchamel once in a while, but usually with ricotta because I need all the protein I can get! Thank you, Suzanne! I just recently signed up for Pinterest, haven't quite figured it all out, but I at least know enough to know what you meant by "pin." Looks fantastic, Jean!! There truly is nothing more comforting than a large piece of lasagna in my eyes! And, oh how it reminds me of my childhood. Lasagna was our traditional meal on New Year's. Jenn, thanks! And I love hearing about people's food traditions. First I've heard of lasagne for New Year's. Yummmm, Jean. I haven't fixed lasagna in so long. There IS something so comforting about it. It is my husband's favorite. Love the spices you put in the sauce....just needs one more for my taste fennel seed....or alternatively italian sausage in place of ground beef. Did I tell you I made your buttermilk bucuits? Lovely. Thanks, Susan! A touch of fennel would definitely be tasty! Glad you liked my biscuits. 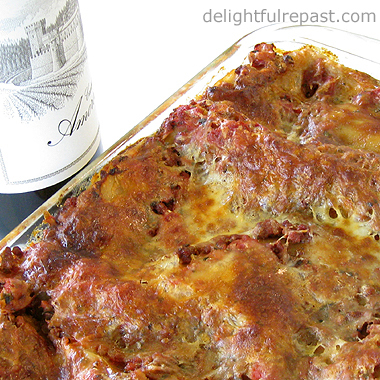 What a perfect dinner - your lasagne sounds delicious and a lovely glass of wine - a great dinner! Thanks, Mary! Wish I had a pan of it in the freezer. Love to cook ahead for busy days. I've never met a lasagne I didn't like, but I'm lazy about making it. This one sounds fabulous. Thanks, Pauline. I feel the same way! Would love to be having some today, but just couldn't manage it!